Oh my word, I am SO uncrafty/unhandy (personal hashtag: idkhowtodiy), but this project is so fabulous-looking and your instructions so helpful, I might (with a lot of prayer) be able to pull it off. Thank you for the inspiration! 🙂 Stopping by from Welcome Home Wednesdays! What an amazing nightstand now. I love how it turned out. I just recently started to use chalk paint in my projects and was having trouble getting the wax to layer on how I wanted it to. Thank you so much for sharing the waxing steps, as that is where my issues laid. Great work! This makeover turned out amazing! 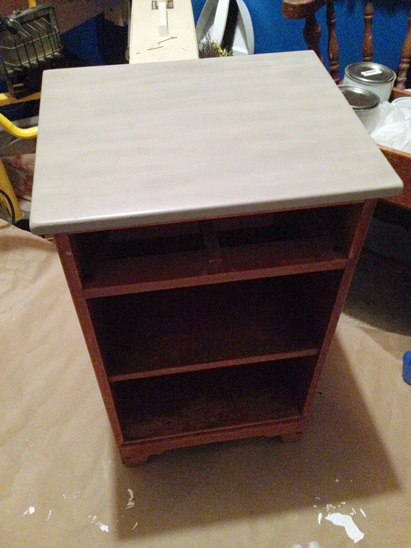 I love chalk paint, too, especially when I can skip sanding…which I loathe. Thanks so much, Audra!! I agree with you on sanding – it’s the worst. 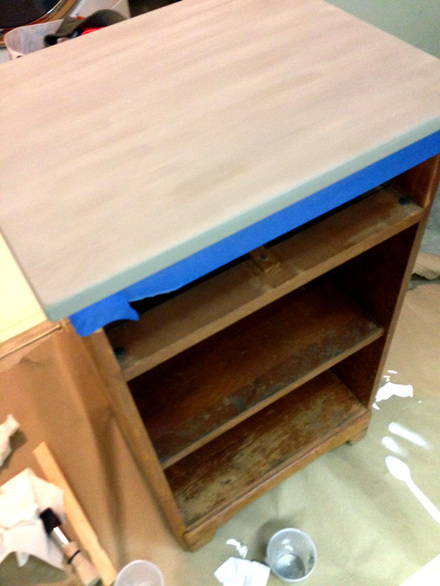 I’m always to anxious to dive into a project to do a good job sanding – so skipping it is great! Your stand looks gorgeous now! I just tried my hand at homemade chalk-style paint this spring and definitely fell in love. Thanks so much for sharing your tips and experience. I can’t wait to try the distressed wood technique. That turned out lovely! Thank you for sharing with us at the To grandma’s house we go link party! Hope to see you there tomorrow when the new party starts! 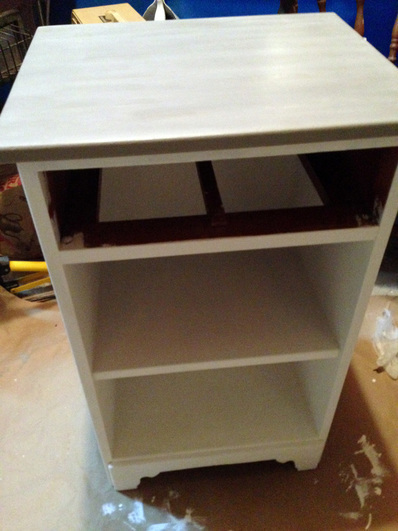 You would never know this was your first time with chalk paint, your project came out amazing. Specialty paints really grow on you, I already can’t wait to see your next piece.Thanks for sharing at Fridays Furniture Fix! What a great look — and such thorough directions. The nightstand makeover turned out so nice. 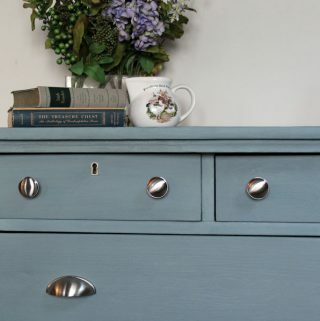 Isn’t it grea how chalkpaint can make an old piece look like new. 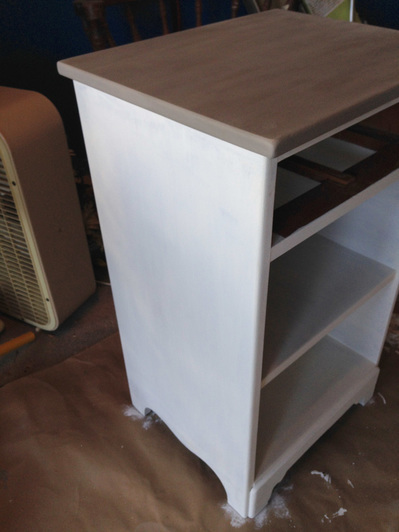 Chalk paint is seriously life changing. I dont know if I will ever go back to regular paint now. Great redo! I literally have that exact nightstand in my garage, waiting for a purpose! LOL. 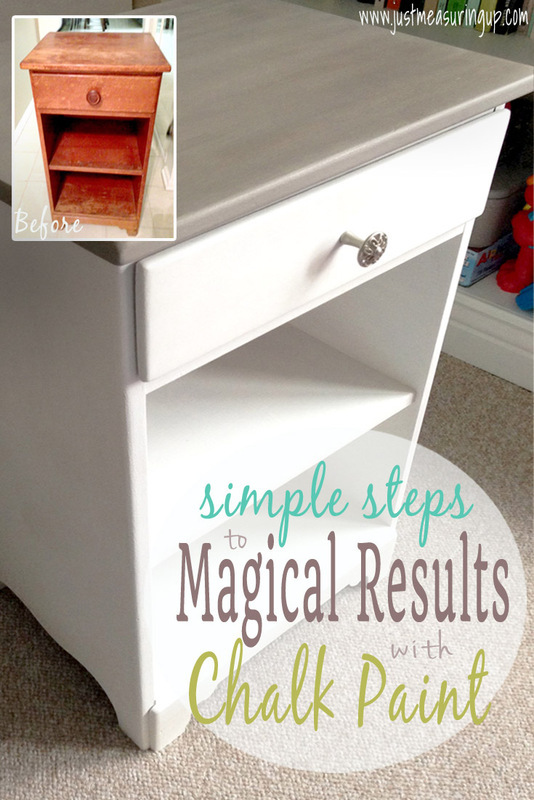 I’ve yet to try chalk paint (gasp!) 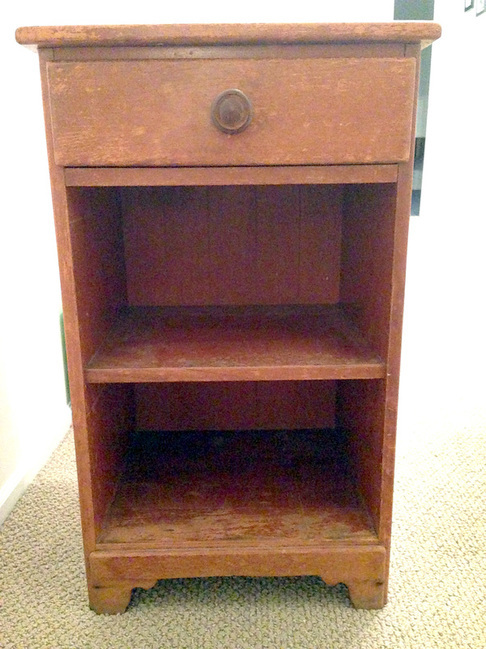 but I want to redo my daughter’s dresser so I may have to pick myself up some. Visiting from Sweet Inspiration party. Lovely! I am interested in trying this paint one of these days! Nice work! Wonderful! 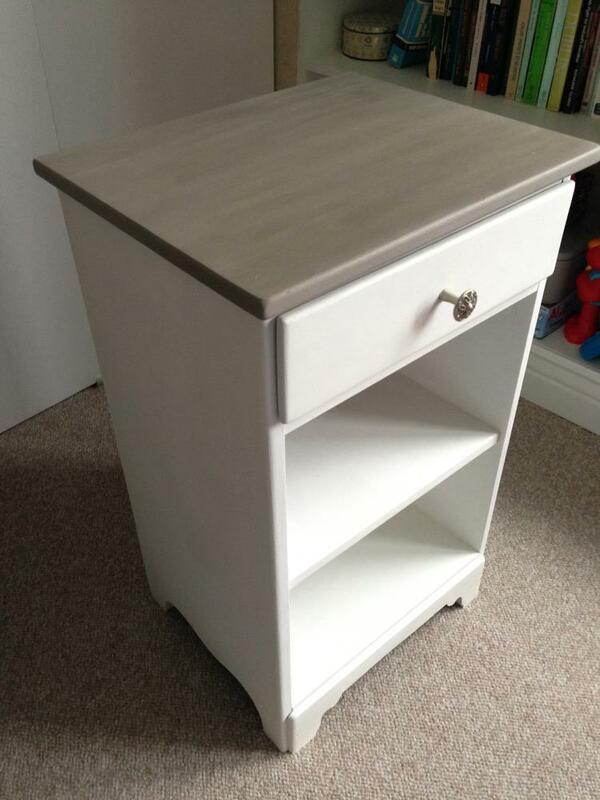 I painted my dining living room set, a hutch and a desk. It’s amazing the transformation. But now I just want to do more. I think figuring out the color is the hardest part. I also didn’t know that Amazon sold cheaper round brushes! Good to know! Thanks, Lori! Yes – now I’m itching to for another trash to treasure project 🙂 Will hopefully have some time after Christmas 🙂 Happy Holidays! This really came out nice! Thanks for sharing at the Pleasures of the NW’s DIY party! Thanks, Helen!! 🙂 Have a great holiday! Thanks for hosting, Janice:) Happy Holidays! I love this look! 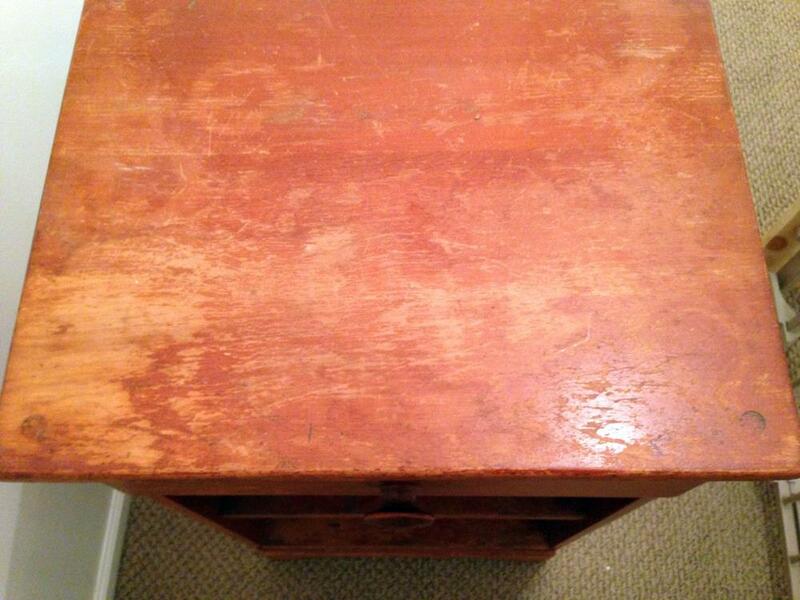 You did a great job and really transformed the nightstand. The finished product is gorgeous! I have no creative vision. 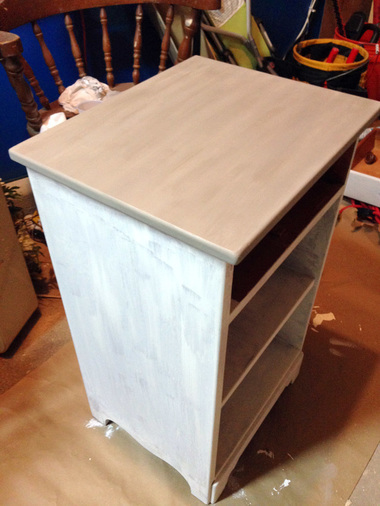 I would never have thought to use chalk paint. Wow! So glad I saw this post at the Lou Lou Girls Fabulous Party. What an amazing job you did! I’ve been wanting to experiment with refinishing old furniture but have been a little wary of the work and complexity involved but you’ve made it look fun and relatively easy. Definite motivation for me to try in 2017. Thanks! I love how your project turned out! Love the French Linen color. 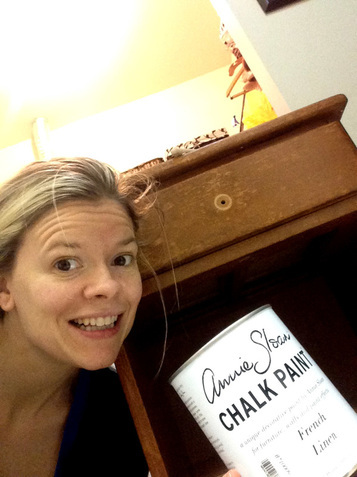 I usually use Maison Blanche chalk paint but might have to give Annie Sloan a try too. Thanks for sharing at the Family Joy Blog Link Party this week!! 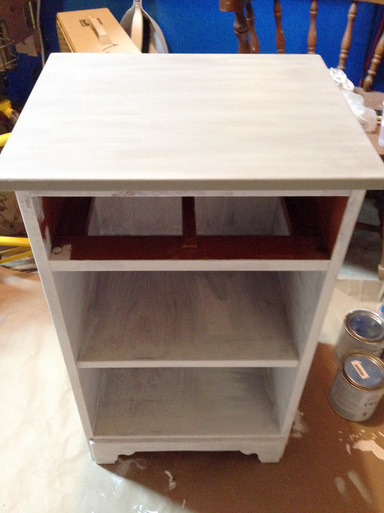 Chalk paint is truly a miracle worker. I used the same products as you with excellent results. 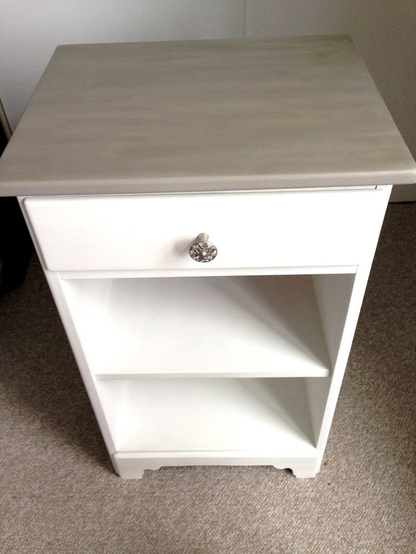 Thank you for sharing your night stand redo with us at Vintage Charm. 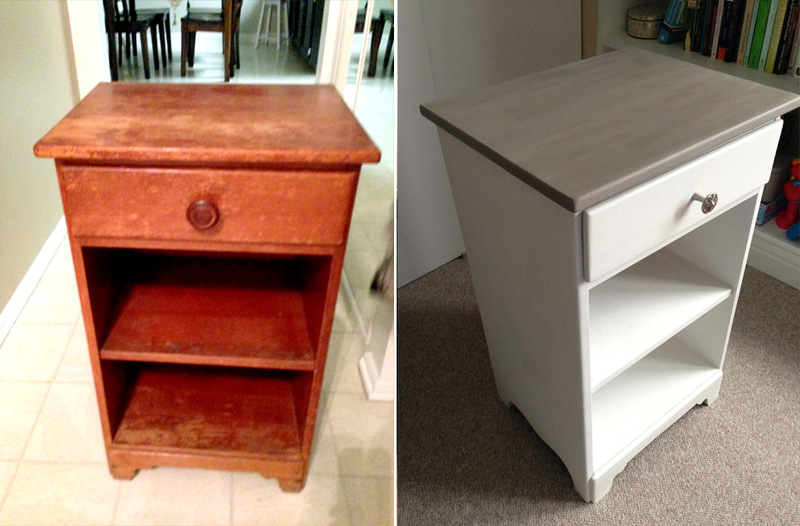 I am so inspired by this project – what a transformation! Chalk paint is definitely on my to-do list for 2017. 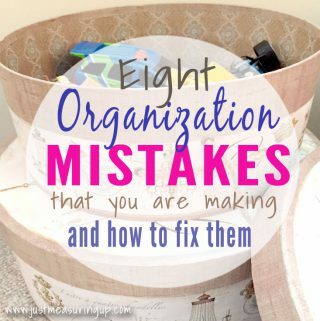 Pinned and sharing, Thank you for linking up at Family Joy Blog Party. We hope to see you at our next party starting on Sunday at noon EST!